Wirrulla is located 100 kilometres east of Ceduna and 35 kilometres north west of Poochera. The name Wirrulla is derived from a local aboriginal word meaning "fast" or "quick". 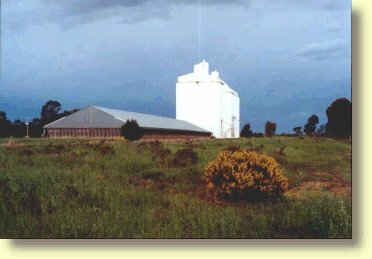 As with many of the smaller towns in South Australia, Wirrulla grew up around a railway siding. 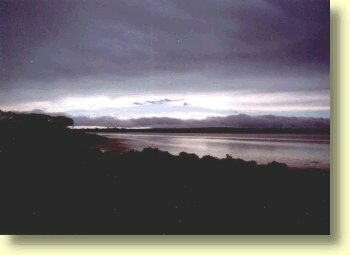 In the very early years of European settlement many pioneers travelled from Port Augusta through the Gawler Ranges to Ceduna and other west coast settlements. At the time Wirrulla was a small but important way station for these travellers. Today Wirrulla's chief occupation is wheat and cereal growing. Wirrulla appears to be something of an enigma. Signs on the approaches to Wirrulla proclaim the settlement to be "The Town With A Secret!" Very strange stuff indeed! Wirrulla's facilities provide the bare essentials for traveler's needs. Within Wirrulla you can find a General Store which sells a range of groceries, cool drinks, icecreams and petrol. Should your vehicle be running short of petrol outside of normal business hours the General Store will be happy to fill your tank up for the cost of an after hours service charge. Definitely a useful service and certainly much better than running out of petrol on the open road! This store is generally open during daylight hours and the early evening. Ian and Trish Perry run the General Store and are a hive of local information, including local road conditions for the Kingoonya Road and Gawler Ranges area. Ian and Trish can be contacted on (08) 8626 8038. Please note as at June 2016 tarriffs for air conditioned rooms range from $50 for singles, $70 for doubles and $10 per extra person. The twin share room without air conditioning is $75. Meal options include continental breakfasts for $10 and counter meals and a licensed restaurant which is open Tuesdays to Saturdays for lunch 12.00 to 2.30pm, and Monday to Saturday from 6.30 to 8.30 for teas. Closed Sundays. For further information please phone (08) 8626 8019. Across the road from Wirrulla's Hotel is a camp facility suitable for those of you towing a caravan. Located on some old tennis courts this camp ground offers hot showers, public toilets and 4 powered sites. As an overnight camp site it might well prove adequate for your needs if you are running low on fuel and arrive late at night after the general store has closed. Charges for the use of this facility are nominal, and if it were any cheaper it may as well be free! Costs $10 per car and keys are available from the General store or Hotel. Within Wirrulla there's also a pleasant small playground and picnic area suitable for children and parents in need of a rest stop. A public pay phone and toilets are also available for the use of travellers. Within Wirrulla itself there isn't exactly a lot to do. 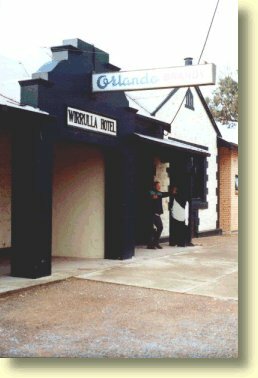 Wirrulla is however an ideal staging point for outback travellers wishing to venture into the rugged Gawler Ranges. For those travellers heading west to Port Augusta there is an alternative route as far as Iron Knob via the Gawler Ranges.This journey is made via an unsealed Road. We have done this journey in the reverse direction and recommend you read our Iron Knob to Wirrulla story should you be contemplating travel in this area. When travelling through these outback areas travellers would be wise to observe all normal precautions. Currently roads to the north of Wirrulla are in fair condition, however this can quickly change. For safety reasons you should always carry a spare tyre, a puncture kit and plenty of water. In recent times vehicles in poor condition have been traveling this road in increasing numbers. If traveling this road you are advised to have a reliable vehicle - one that can handle a lot of shaking and rattling! Please note mobile phone services do not work out along the Kingoonya road. For those of you with UHF Radios, use channel 3 south of Lake Everard, and channel 4 to the north. Nullarbor Net recommends that travelers seek local advice from the general store or hotel before venturing into these remote areas. Angie Mumford is a local resident of the Wirrulla and Gawler Ranges area. Early in 2004 she participated in a camel expedition that crossed the Nullarbor. Here's one of her poems inspired by that experience.